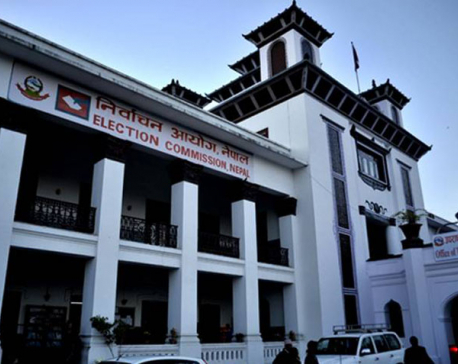 KATHMANDU, Dec 18: The Election Commission (EC) on Sunday concluded the counting of Proportional Representation (PR) votes cast in the parliamentary and provincial polls held recently. Poll results show the CPN-UML, which bagged the most seats under the first-past-the-post (FPTP) electoral system, got the highest number of votes under the PR category as well. 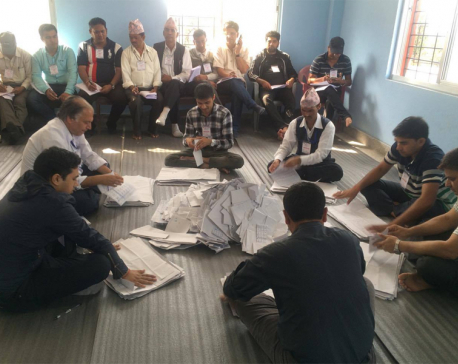 According to the details provided by the EC, the UML party, which had forged an electoral alliance with another communist party, CPN (Maoist Center), secured 3,173,494 votes whereas the ruling Nepali Congress got 3,128,389 votes. The Maoist party ranked third with 1,303,721 votes. Of the total 49 parties contesting the parliamentary polls, only five are qualified to get seats under the PR category. They are CPN-UML, Nepali Congress (NC), Maoist Center, Federal Socialist Forum Nepal (FSFN) and Rastriya Janata Party Nepal (RJPN). The remaining 44 parties including Rastriya Prajatantra Party and Bibeksheel Sajha failed to cross the threshold of three percent votes. Of the total 275 members in the central parliament, 110 will be elected under the PR category while 165 members have already been elected through the FPTP electoral system. Experts estimate that the UML will get 41 seats, NC 40 seats, Maoist Center 17 seats and RJPN and FSFN will bag six seats each. The CPN-UML has won 80 seats, while its coalition partner Maoist Center secured victory in 36 seats followed by ruling NC's 23 seats out of the total 165 seats under the FPTP electoral system. The Madhes-based parties - RJPN and FSFN - bagged 11 and 10 seats respectively whereas the fringe parties won other five seats. In terms of province-wise votes, UML is ahead in four provinces - 1, 3, 4 and 5 - while the NC is ahead of the UML in provinces 2 and 7. EC Spokesperson Navaraj Dhakal said the final results of the PR category will be made public only after verifying the poll results. "It may take some time to announce the number of seats won by the five parties under the PR category," said Dhakal.